Male dogs – Neutersol (Zinc gluconate neutralized by arginine). Cytotoxic; produces infertility by chemical disruption of the testicle. It is now produced as Esterilsol in Mexico. Male rats – Adjudin (analogue of indazole-carboxylic acid), induces reversible germ cell loss from the seminiferous epithelium by disrupting cell adhesion function between nurse cells and immature sperm cells, preventing maturation. Male sheep and pigs – Wireless Microvalve. Using a piezoelectric polymer that will deform when exposed to a specific electric field broadcast from a key fob (like a car alarm) the valve will open or close, preventing the passage of sperm, but not seminal fluid. Located in a section of the vas deferens that occurs just after the epididymis, the implantation can be carried out by use of a hypodermic needle. Female mammals – Vaccine of antigens (derived from purified Porcine zona pellucida) encapsulated in liposomes (cholesterol and lecithin) with an adjuvant, latest US patent RE37,224 (as of 2006-06-06), CA patent 2137263 (issued 1999-06-15). Product commercially known as SpayVac, a single injection causes a treated female mammal to produce antibodies that bind to ZP3 on the surface of her ovum, blocking sperm from fertilizing it for periods from 22 months up to 7 years (depending on the animal). This will not prevent the animal from going into heat (ovulating) and other than birth control, none of the above mentioned advantages or disadvantages apply. The reason why human owners spay and neuter their dogs is because of the inconvenience of having a dog litter–the danger of overpopulation in so little house space. The owners don’t also like that their dogs behave like dogs in mating season: urinate, mount, and copulate. I wonder if human owners ever asked their dogs whether they like to be spayed and neutered in the first place. This goes against the very nature of dogs. This is very inhumane and uncanine. Animal rights activists should protest against spaying and neutering of dogs. In case of the Reproductive Health Bill, I say this: Do not treat humans as dogs. Treat humans as humans. Humans need to be led to what is right and wrong. Who shall tell the human what is right and wrong? The congressmen and senators who think they are more intelligent than a poor boy from the province? Dogs must be led by a higher intelligence (man), and humans must also be led by a higher intelligence (God). God is not a theoretical concept, but a being who intervened in human history, who promulgated his laws in the Ten Commandments. And when the fullness of time came, God sent His Son born of a woman, in order to become a role model for all of us. Christ is the way that we must follow, the truth that we must believe, the life that we must live. When Christ departed from this world, He did not leave us orphans but sent the Holy Spirit to guide his Church–the Pope, bishops, priests, and laity–into all truth. In matters of Faith and Morals, the Catholic Church could not err, because God Himself, Christ, promised to Peter and his apostles: “Whatever you bind on earth shall be bound in heaven; and whatever you loose on earth shall be loosed in heaven. (Mt 16:19)” No other human institution has this divine seal. Let us pray the Cong. Lagman, Cong. Hontiveros Baraquel, and Sen. Santiago would listen to the voice of the Catholic Church. Authors: Fr. Eric O. Genilo, S.J., Fr, John J. Carroll, S.J., and Fr. Joaquin Bernas, S.J. The Church insists on protection of human life upon fertilization. The question to be answered by the State is if this is the same position it will take regarding the protection of human life. The Philippine Constitution says that the State will protect the life of the unborn upon conception. It is not specified in the Constitution whether conception means fertilization or the implantation of an embryo in the womb. The Constitutional Convention seemed to favor fertilization. The definition of conception will have a bearing whether contraceptives that prevent the implantation of embryos would be legally allowed or not. This definition of conception in the Constitution must be worked out both by medical and legal experts in order to determine the parameters of what reproductive services can be provided by the Bill. Proposal: The State first has to make a clear position whether it considers the prevention of implantation of an embryo as an abortion. If the State takes this position, there must be a careful and scientifically based evaluation of each of the medicines and devices provided by the Bill. Those contraceptive medicines and devices which are determined to have abortifacient effects are to be banned even now and regardless of whether the RH Bill is passed or not. The mandatory nature of the sexuality education curriculum proposed by the Bill is a concern for the Church because it would compel Catholic educators to teach parts of the curriculum that may be unacceptable for Catholics. The Church is also concerned that the parents’ right to decide on the education of their children would be denied by such a mandatory curriculum for all schools. Proposal: For the purpose of protecting academic freedom and respecting religious traditions, should not the right of religious schools to write and implement their own sexuality education curriculum according to their religious traditions be respected? For public schools and non-religious private schools, an appointed panel of parent representatives, educators, experts in child development and psychology, medical experts, and representatives of religious traditions can write the sexuality education curriculum and the DEPED can monitor the implementation. Parents with children in public schools should have the right to have their children exempted from the sexuality education class if the curriculum is not acceptable to them. The Constitution allows religious instruction in public schools only if the parents consent in writing. Should a similar provision be enacted relative to sexuality education? The Bill must also respect the conscientious objection of individual educators who refuse to teach a sexuality curriculum that violates their religious beliefs. Even if the majority of the population of the country are Catholics, our democratic system should ensure that public polices are not determined solely by majority vote but also by a careful consideration of the common good of all, including non-Catholics. It is the duty of various religions to teach their faithful and form their consciences about what their religious tradition allows and prohibits with regard to family planning. It is the duty of the government to provide correct and comprehensive information on all non-abortifacient (as defined by law) family planning methods that are available. Consciences will thus be better equipped to make informed choices according to their religious traditions. Proposal: There can be two separate parallel programs for providing information and training, one for NFP and another for artificial methods of family planning (with separate budgets). The separation of the programs will ensure that NFP will get adequate funding and those trainers who wish to teach only NFP for religious reasons will not be forced to teach artificial methods. The conscience of health workers and trainers should be respected. If a Catholic health worker or trainer conscientiously objects to teaching contraception methods, he or she should be allowed to teach only NFP methods. The current Bill prohibits the refusal of health care services and information based on a patient’s marital status, gender or sexual orientation, age, religion, personal circumstances, and nature of work. This provision must have parameters. For example, if a doctor refuses to administer an IUD to a minor who requests for it, would that be considered age discrimination? Should the provision apply equally to both in the public and private health care providers or shouldn’t private practitioners have more leeway in practicing their medicine as they see fit? Employers should not be required to provide in their CBAs reproductive health services of their employees. To enforce this requirement would be a violation of the conscience of Catholic employers. Proposal: Such a provision is unnecessary because the general Philhealth medical coverage, which is mandatory for all employees, provides for such reproductive health services upon request of the employee. This allows employers with religious objections to contraceptives or sterilizations to avoid direct formal cooperation in the provision of such family planning methods to their employees. The Church’s objection to this provision is that it appears to treat pregnancy as a disease. Proposal: The question of whether contraceptives are essential medicines should be resolved by a panel of objective medical experts such as the Philippine Medical Association. What contraceptives actually prevent diseases? It would be helpful to be able to present cases where the use of a contraceptive is a medically indicated treatment for a particular disease or emergency situation. If some contraceptives are ultimately decided as essential or emergency medicines that should be stocked in government health centers and hospitals, no contraceptives with abortifacient effects are to be allowed. Proposal: The Bill’s provision that penalizes malicious disinformation against the intention and provisions of the Bill should be refined by a clear description of what constitutes “malicious disinformation,” or failing that, the provision should be scrapped. Proposal: The committee to be in-charge of the Bill’s implementing norms should have representatives from major religious traditions to ensure that the rights of people of various faiths would be protected. Infallibility and Contraception: a Reply to Fr. Genilo, S.J., Fr. Tanseco, S.J., and Bishop Bacani by Paul Gerard Horrigan, Ph.D. In an email to Federico Pascual Jr.’s column “Postscript,” printed in the December 23, 2008 edition of the newspaper Philippine Star, Fr. Eric M. O. Genilo, S.J. Assistant Professor of Moral Theology at the Loyola School of Theology, Ateneo de Manila University wrote: “The word ‘infallibility’ has been often abused by both lay people and some clerics to bolster their moral arguments, as most recently seen in the debates on the Reproductive Health Bill. Your presentation is correct in saying that infallibility is only asserted by the Pope ex cathedra and is rarely used. “Generally, a papal document has to state explicitly that the pope declares the teaching infallible. Thus Humanae Vitae is not an infallible document – it is still authoritative at the highest level but is open to improvement. “…There is in the Vatican II documents another way of asserting infallibility, not by ex cathedra statement, but by the ordinary teaching authority of the Church which has a number of conditions that require practically universal agreement on a matter of faith or morals. Contrary to the above assertions, I maintain that Fr. Genilo, S.J.’s understanding of papal infallibility is seriously wrong: it restricts papal infallibility to solemn ex cathedra definitions (he writes: “infallibility is only asserted by the Pope ex cathedra and is rarely used”), not taking into account that Pope Paul VI’s condemnation of contraception in the Encyclical Humanae Vitae is, in fact, an infallible exercise of the ordinary papal magisterium. Another Ateneo Jesuit, Fr. Ruben Tanseco, who has openly defied many infallibly taught Church teachings for decades, likewise denies that the universal ordinary magisterium has taught the doctrine on contraception infallibly, and forcefully advocates and counsels the use not only of condoms but even oral contraceptives for married couples  . Oral contraceptives have been scientifically shown to have an abortifacient mechanism  ; nevertheless, Fr. Tanseco, S.J. erroneously denies that birth control pills cause early abortions. Against Fr. Genilo, S.J., Fr. Tanseco, S.J. and Bishop Bacani, I hold that the specific norm condemning contraception as taught by Pope Paul VI in Humanae Vitae is infallible by the ordinary papal magisterium, and that this doctrine has been taught infallibly by the universal ordinary magisterium, meeting the conditions of Vatican II’s Lumen Gentium, no. 25 for its infallible exercise. 4. That they propose this as something to be held definitively. The first condition, that the bishops be in communion with one another and with the Pope, does not mean that they must formally act as a body in a strictly collegial manner. Rather, it is necessary and sufficient that these bishops remain bishops within the Catholic Church. The second condition, that the bishops teach authoritatively on a matter of faith and morals, requires that the bishops be acting in their official capacity as teachers, and not merely expressing their opinion as private individuals or as theologians. As regards the subject matter of their teaching – faith or morals – we say that “morals” here, in the sense intended by Vatican II, is not limited in such a way as to exclude specific moral norms, such as the norm condemning contraception. The third condition, that the bishops agree in one judgment, “identifies universality,” writes Grisez, “as a requirement for an infallible exercise of the ordinary magisterium. What is necessary, however, is the moral unity of the body of bishops in union with the Pope, not an absolute mathematical unanimity such as would be destroyed by even one dissenting voice. “The first consideration is a negative one. No evidence has come to light that anyone proposed this teaching as a private opinion, a probable judgment, or a lofty ideal which there was no blame in failing to achieve. It was proposed instead as an obligatory moral teaching. “Second, the teaching is that contraceptive acts are the matter of mortal sin. Third, when in modern times the teaching was challenged from outside the Church, it was repeated with insistence and emphasis. Fourth, the teaching was often proposed as a divinely revealed moral norm…The point is significant for the light it sheds on the intention of those proposing the teaching. If, in doing so, they contended that the teaching was divinely revealed, this can only mean that they proposed it as something to be held definitively; they would hardly have done the contrary – i.e., at the same time maintained that the teaching was divinely revealed yet proposed it as something which need not be held definitively. “Having reached this point, it is useful briefly to examine the major statements on contraception by Pius XI, Pius XII, and Paul VI and to do so in light of what has been said up to now. One main reason dissenters use to justify their negation of the infallibility of specific moral norms is the claim that they have never been manifestly demonstrated to be infallibly defined, and utilize canon 749, par. 3 of the 1983 Code of Canon Law to justify their claim. Canon 749, paragraph 3 reads: “No doctrine is to be understood as infallibly defined unless this is manifestly demonstrated.” Dissenters Charles E. Curran  and Francis A. Sullivan, S.J. appeal to this paragraph, asserting that it is not manifestly demonstrated that any specific moral norms have ever been infallibly defined. But following Germain Grisez , Canon 749, paragraph 3 in fact refers to infallible definitions of the solemn extraordinary magisterium, not to teachings infallibly proposed by the universal ordinary magisterium. Curran and Sullivan conveniently overlook the preceding paragraph of Canon 749, which states: “The College of Bishops also possess infallibility in its teaching when…the bishops, dispersed throughout the world but maintaining the bond of communion among themselves and with the successor of Peter, together with the same Roman Pontiff authoritatively teach matters of faith or morals, and are agreed that a particular teaching is definitively to be held.”  Dissenters like Curran and Sullivan simply fail to consider whether any specific moral norms have been infallibly proposed by the ordinary day-to-day exercise of the magisterium, according to the criteria articulated in Lumen Gentium, no. 25. In their equating infallibly proposed teachings with teachings that are solemnly defined they do not take into account the possibility that certain specific moral norms have been proposed infallibly by the exercise of the universal ordinary magisterium. The ordinary Papal Magisterium can teach, and has taught, specific moral norms infallibly. For example, the Church’s doctrine on the intrinsic evil of contraception, reaffirmed by Pope Pius XI in Casti Connubii  and by Paul VI in Humanae Vitae , as well as the confirmations of the condemnations of the intrinsic evils of murder (the direct and voluntary killing of an innocent human being) , direct abortion , and euthanasia  by Pope John Paul II in his 1995 Encyclical Evangelium Vitae, are all infallible pronouncements of the ordinary Papal Magisterium. Though they are not solemn ex cathedra definitions, nevertheless, these definitive papal pronouncements on specific moral norms also enjoy the gift of infallibility. E. GENILO, email to Federico Pascual’s column “Postscript,” in the Philippine Star, December 23, 2008, paragraphs 2-5. “We define infallibility,” writes Fr. James T. O’Connor following Gasser and Vatican I, “as that special gift of God which enables the Catholic Church to hold and propose without error those truths which God intends to be known and held for the sake of our salvation”(J. T. O’CONNOR, The Gift of Infallibility, St. Paul’s, Boston, 1986, pp. 98-99). For a critique of this proportionalism, see: W. E. MAY, An Introduction to Moral Theology, Our Sunday Visitor, Huntington, IN, 2003, pp. 156-157. For a critique of this position, see: W. E. MAY, op. cit., pp. 157-158. For a critique, see: W. E. MAY, op. cit., p. 158. For a thorough and convincing critique of Karl Rahner’s dualistic anthropology underlying his dissent on contraception and other moral norms, see Cornelio Fabro’s La svolta antropologica di Karl Rahner, published by Rusconi, Milan in 1974, especially pages 87-121. E. GENILO, THEO 262A Sexual Ethics and Bioethics course handout notes to Ateneo students, 2006, Bioethics Session 13 (Special Interventions to Impede the Transmission of Life), last paragraph. n, Philippine Star, August 8, 2004. John Wilks, M.P.S. writes concerning the abortificient mechanism of oral contraceptives: “Both the progesterone-only and the estrogen-progesterone formulations act to cause alterations in the lining of the womb, converting the proliferative nature of the endometrium, which is naturally designed to accept and sustain a fertilised ovum, to a secretory endometrium, which is a thin, devasculating lining, physiologically unreceptive to receiving and sustaining a zygote”(J. WILKS, A Consumer’s Guide to the Pill and Other Drugs, 3rd Ed., National Book Store, Mandaluyong City, 2000, p. 4). T. C. BACANI, The Church and Birth Control, Manila, 1992, p. 29. T. C. BACANI, Catholics and HB 5043, Gift of God Publications, Manila, 2008, p. 40. G. BAUM, The Christian Adventure – Risk and Renewal, “Critic,” 23 (1965), pp. 41-53. K. RAHNER, Theological Investigations, vol. 14: Ecclesiology: Questions in the Church, The Church in the World, Seabury Press, New York, 1976, p. 14. Cf. K. RAHNER, op. cit., pp. 14-15. Cf. P. CHIRICO, Infallibility: Crossroads of Doctrine, Sheed, Andrews and McMeel, Kansas City, MO, 1977. F. H. DRINKWATER, Birth Control and Natural Law, Helicon, Baltimore, 1965, pp. 39-66.
hing Authority in the Catholic Church, Paulist Press, New York, 1983, p. 152. Grisez refutes Sullivan’s position in G. GRISEZ, Infallibility and Specific Moral Norms: A Review Discussion, “The Thomist,” 49 (1985), pp. 248-287. Sullivan responds to Grisez in: F. SULLIVAN, The Secondary Object of Infallibility, “Theological Studies,” 54 (1993), pp. 536-550. Grisez and Sullivan go another round in The Ordinary Magisterium’s Infallibility: A Reply to Some New Arguments, “Theological Studies,” 55 (1994), pp. 720-738. Sullivan dissents again on the infallibility of the universal ordinary magisterium in: F. SULLIVAN, Creative Fidelity: Weighing and Interpreting Documents of the Magisterium, Paulist Press, New York, 1996. G. HALLETT, Contraception and Prescriptive Infallibility, “Theological Studies,” 43 (1982), pp. 629-650. Grisez answers the arguments of Hallett in: G. GRISEZ, Infallibility and Contraception: A Reply to Garth Hallet, “Theological Studies,” 47 (1986), pp. 134-145. In pages 911-912 of his work, Christian Moral Principles, the first volume of his moral theology series The Way of the Lord Jesus (published by Franciscan Herald Press, Chicago, 1983), Grisez gives a summary response to Hallett’s 1982 article. R. A. McCORMICK, Authority and Morality, “America,” 142 (1980), p. 169. D. MAGUIRE, Morality and the Magisterium, “Cross Currents,” 18 (Winter, 1968), pp. 41-65. R. GULA, Reason Informed by Faith: Foundations of Catholic Morality, Paulist Press, New York, 1989, pp. 209-210. P. CHIRICO, Infallibility: Crossroads of Doctrine, Sheed, Andrews and McMeel, Kansas City, MO, 1977, pp. 68-83, 185. C. E. CURRAN, Humanae Vitae: Ten Years Later, “Commonweal,” 105 (July 7, 1978), p. 429. C. E. CURRAN, Contemporary Problems in Moral Theology, Fides, Notre Dame, 1970, p. 257. “Magisterium” is the teaching authority of the college of bishops under the headship of the Pope. Grisez defines Magisterium as “the authority and role of the Pope and other bishops, as successors of the apostles, to distinguish what belongs to revelation from what does not, and to guide the receiving, guarding, and explaining of revealed truth. The exercises of this responsibility are divided into extraordinary and ordinary. The extraordinary magisterium embraces all acts of solemnly defining truths of faith and morals, and all teaching of ecumenical councils. The ordinary magisterium is the role as day-to-day teachers of the Pope and other bishops. Under certain conditions the exercise of the ordinary magisterium is infallible”(G. GRISEZ, The Way of the Lord Jesus, vol. 1: Christian Moral Principles, Franciscan Herald Press, Chicago, 1983, p. 922). J. C. FORD and G. GRISEZ, Contraception and the Infallibility of the Ordinary Magisterium, “Theological Studies,” 39 (1978), pp. 258-312. Reprinted in The Teaching of ‘Humanae Vitae’: A Defense, Ignatius Press, San Francisco, 1988, pp. 117-219. L. CIAPPI, L’enciclica ‘Humanae vitae’: valutazione teologica, “Lateranum,” 54 (1978), pp. 105-124. J. FINNIS, Conscience, Infallibility and Contraception, “The Month,” 11 (1978), pp. 410-421. J. A. HARDON, Contraception: Fatal to the Faith, catholicculture.org, November, 1998. M. ZALBA, Infallibilità del magistero ordinario universale e contraccezione, “Renovatio,” 4 (1979), pp. 79-90. F. OCARIZ, La nota teologica dell’insegnamento dell’“Humanae vitae” sulla contraccezione, “Anthropotes,” 1 (1988), pp. 25-43. In this article, Msgr. Ocariz affirms that the doctrine on contraception has been taught infallibly by the universal ordinary magisterium and that one is dealing with a doctrine de fide divina et catholica (of divine and catholic faith). The Church’s doctrine on contraception is revealed (implicitly) and therefore one is dealing with a doctrine de fide divina et catholica (of divine and catholic faith). Although it is of divine and catholic faith, nevertheless, it is not solemnly defined ex cathedra by the extraordinary magisterium. But the doctrine is infallible, nevertheless. The Church’s doctrine on contraception pertains to the moral order revealed by God. Pope John Paul II writes that “we are not dealing with a doctrine invented by man: it has been inscribed by the creative hand of God into the very nature of the human person and has been confirmed by Him in Revelation. To question it therefore, is equivalent to denying to God Himself the obedience of our intelligence. It is equivalent to preferring the light of our own reason to that of God’s Wisdom, thereby falling into the obscurity of error and ending up by damaging other fundamental principles of Christian doctrine”(JOHN PAUL II, Address to Participants of the Second International Congress of Moral Theology, November 12, 1988, no. 3). The doctrine on contraception belongs to the primary object of infallibility (it is a truth which belongs directly to the faith, that is, it belongs to the deposit of faith, though not explicitly, but implicitly) and, not, as is sometimes maintained, to the secondary object of infallibility (as a truth belonging indirectly to the faith, a truth, although not revealed in se, is nevertheless required in order to guard fully, explain properly and define efficaciously the very deposit of faith). In his book, The Gift of Infallibility, James T. O’Connor, explains that “some matters which, at first glance, do not appear to be a part of the deposit of faith directly may, in fact, be so, and thereby pertain to the primary or direct object of infallibility. We may cite as an example the moral norm which declares that ‘every action which, either in anticipation of the conjugal act, or in its accomplishment, or in the development of its natural consequences, proposes, whether as an end or as a means, to render procreation impossible (Encyclical Humanae Vitae, no. 14). This is the way Pope Paul VI phrased the Church’s constant teaching on artificial contraception. It would seem, viewed superficially, that this teaching would pertain to those things which belong to the secondary object of infallibility; it would seem, that is, that such a teaching is not directly revealed, thus not forming part of the deposit of faith. Closer study indicates, however, that such is not the case”(J. T. O’CONNOR, op. cit., pp. 119-120). Fr. O’Connor then quotes from Pope John Paul II, where the Holy Father writes in 1984 the following concerning the moral norm on contraception contained in Pope Paul VI’s Encyclical Humanae Vitae: “The author of the encyclical stresses that this norm belongs to the ‘natural law,’ that is to say, it is in accordance with reason as such. The Church teaches this norm, although is it is not formally (that is, literally) expressed in Sacred Scripture, and it does this in the conviction that the interpretation of the precepts of natural law belongs to the competence of the Magisterium. “However, we can say more. Even if the moral law, formulated in this way in the Encyclical Humanae Vitae, is not found literally in Sacred Scripture, nonetheless, from the fact that it is contained in Tradition and – as Pope Paul VI writes – has been ‘very often expounded by the Magisterium’(HV, n. 12) to the faithful, it follows that this norm is in accordance with the sum total of revealed doctrine contained in biblical sources (cf. HV, n. 4). “Precisely against the background of this full context it becomes evident that the above-mentioned moral norm belongs not only to the natural moral law, but also to the moral order revealed by God”(JOHN PAUL II, General Audience of 18 July 1984, nos. 3, 4). Commenting on this passage by the Pope, O’Connor writes: “What the Holy Father is saying is that this moral norm, although not found explicitly or ‘literally’ in Sacred Scripture, forms, nonetheless, part of the revealed moral order and is found implicitly in the sources of Revelation, Sacred Scripture and Tradition. Therefore it belongs to the deposit of faith as well as to the natural moral law, and so is included among the truths which fall under the primary object of infallibility”(J. T. O’CONNOR, op. cit., p. 121). Revealed (implicitly), and though not solemnly defined ex cathedra, nevertheless, the Church’s doctrine on contraception, taught infallibly by the universal ordinary magisterium, is of divine and catholic faith (de fide divina et catholica). W. E. MAY, An Introduction to Moral Theology, Our Sunday Visitor, Huntington, IN, 2003. K. WOYTYLA, Introduzione alla Humanae Vitae, Tipografia Poliglotta Vaticana, Vatican City, 1969, p. 35. G. GRISEZ, op. cit., p. 843. J. T. NOONAN, Contraception: A History of Its Treatment by the Catholic Theologians and Canonists, Harvard University Press, Cambridge, MA, 1965, p. 6. Incredibly, after marshalling hundreds of pages of texts in support of the Church’s constant teaching on the immorality of contraception, Noonan quite illogically dissented from the Church on this issue. He became one of the main players in the dissenting Majority Report of the Commission for the Study of Problems of Population, Family and Birthrate that approved of contraception in certain cases, utilizing the soon to be widespread revisionist method of proportionalism. Though he fought abortion in the 1970s Noonan stubbornly refused to retract his dissent on contraception. J. T. FORD and G. GRISEZ, Contraception and the Infallibility of the Ordinary Magisterium, in The Teaching of Humanae Vitae: A Defense, Ignatius Press, San Francisco, 1988, p. 171. 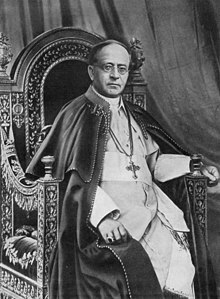 PIUS XI, Casti Connubii, AAS, 22 (1930), pp. 559-560. PIUS XII, Address to Midwives, AAS, 43 (1951), p. 843. R. SHAW, Contraception, Infallibility and the Ordinary Magisterium, in Why Humanae Vitae Was Right: A Reader, edited by J. E. Smith, Ignatius Press, San Francisco, 1994, pp. 354-355. R. SHAW, op. cit., p. 355. C. E. CURRAN et al., Dissent In and For the Church: Theologians and ‘Humanae Vitae,’ Sheed and Ward, New York, 1969, p. 63. G. GRISEZ, Infallibility and Specific Moral Norms: A Review Discussion, “The Thomist,” 49 (1985), p. 273. CODE OF CANON LAW, Typis Polyglottis Vaticanis, Vatican City, 1983, Canon 749, par. 2 (emphasis mine). Moral theologian Ramon Garcia de Haro quotes Pius XI: “Since, therefore, openly departing from the uninterrupted Christian tradition some recently have judged it possible solemnly to declare another doctrine regarding this question, the Catholic Church, to whom God has entrusted the defense of the integrity and purity of morals…in order that she may preserve the chastity of the nuptial union from being defiled by this foul stain, raises her voice in token of her divine ambassadorship and through our mouth proclaims anew: any use whatsoever of marriage exercised in such a way that the act is deliberately deprived of its natural power to generate life is an offense against the law of God and of nature, and those who indulge in such are branded with the guilt of a grave sin.”(no. 57). Garcia De Haro then states: “The terms used leave no doubt: we are dealing here with a definitive teaching of the ordinary and universal Magisterium and, therefore, one that is infallible”(R. GARCIA DE HARO, Marriage and the Family in the Documents of the Magisterium, Ignatius Press, San Francisco, 1993, p. 132). PAUL VI, Humanae Vitae, no. 14: “Therefore we base our words on the first principles of a human and Christian doctrine of marriage when we are obliged once more to declare…excluded is every action which, either in anticipation of the conjugal act, or in its accomplishment, or in the development of its natural consequences, proposes, whether as an end or as a means, to render procreation impossible.” Cf. R. GARCIA DE HARO, op. cit., p. 307. JOHN PAUL II, Evangelium Vitae, no. 57: “By the authority which Christ conferred upon Peter and his Successors, and in communion with the Bishops of the Catholic Church, I confirm that the direct and voluntary killing of an innocent human being is always gravely immoral. This doctrine, based upon that unwritten law which man, in the light of reason, finds in his own heart (cf. Rom 2:14-15), is reaffirmed by Sacred Scripture, transmitted by the Tradition of the Church and taught by the ordinary and universal Magisterium.” Cf. W. E. MAY, op. cit., p. 249. T. BERTONE, Theological Observations, “L’Osservatore Romano,” English Edition, Jan 29, 1997, p. 6, col. 3. PONTIFICAL COUNCIL FOR THE FAMILY, Vademecum for Confessors Concerning Some Aspects of the Morality of Conjugal Life, 1997, 2, no. 4. ”House Bill 5043 on “Reproductive Health and Population Development” has occasioned enormous debate in the Philippines and was recently the subject of a position paper drafted by 14 members of the faculty of the Ateneo de Manila University. In their statement, these faculty stated their belief that the bill adheres “to core principles of Catholic social teaching: the sanctity of human life, the dignity of the human person, the preferential option for the poor and vulnerable, integral human development, human rights, and the primacy of conscience.” They believe these conditions of Catholic social teaching are met in Bill 5043. We, the undersigned Catholic academics, assert, however, that these Ateneo faculty are gravely mistaken in their presentation of the Church’s teaching. ”The primary reason for these Ateneo Faculty members´ support of the bill seems to stem from their deep commitment to the Church’s long-held “preferential option for the poor.” Their position paper describes, heart-wrenchingly, the situation of the poor in the Philippines. High maternal mortality rates, inadequate and uneven provision of basic health care, lack of birth attendants, and lack of reproductive health information: such situations place an undue burden on the poor, and in particular on women. These women, like all women, desire to determine the number and spacing of their children, and ensure that proper nutrition, health care, and education can be provided for each member of their families. As Catholics, we have a clear obligation to ensure that all persons, particularly the poor, have the ability to exercise these basic freedoms. ”As Catholic academics, we agree that we must support civic and governmental initiatives that can aid the poor. Nevertheless, a Catholic cannot support the Reproductive Health and Population Development bill in good conscience, because the primary provisions of the bill not only fail to recognize and support the dignity of the poor, but also stand in direct opposition to Catholic social teaching. The bill focuses primarily on providing services to curb the number of children of the poor, while doing little to remedy their situation, provide necessary health care or establish the grounds for sound economic development. ”A few citations will serve to show how clear and unambiguous is the Church’s care for the dignity of the person, and in particular the poor, and how critical it is for us to heed her teachings in addressing the circumstances facing the Philippines today. “The Church does not hold these positions to punish the poor, but rather because she recognizes that the poor have the same inviolable dignity and rights that all human persons share. What the poor need is not contraception and sterilization, but to experience authentic solidarity with those who, in responding to their innate dignity, work with the poor to enable them to develop their skills, improve their circumstances and cultivate lives that are marked by both interior and exterior freedom. This places a much more radical demand on those of us to whom much has been given (Luke 12:48); we must live and work with the poor in order to identify and enable the resources they require to live lives of authentic freedom. “These statements of the Church and Magisterium have been retained in all subsequent documents and reiterated in documents too numerous to cite here. These few, but clear, passages make it abundantly clear that no Catholic can in good conscience support Bill 5043. This Bill violates the Church’s teachings in the gravest manner. “Finally, it must be emphasized that there are two sections in the bill that should be applauded and expanded. Both Section 6 and Section 7 call for the expansion of midwives and birth attendants, as well as greater access to obstetric care. Such measures are critical to reducing maternal mortality and making progress toward the Millennium Development Goals, particularly MDG 5 (maternal health) and MDG 4 (infant health). Healthy mothers are the critical factor in assuring infant and child health. ”Unfortunately, these two sections are the weakest in the bill. Most of the reproductive health proposals of the bill are mandatory and supported through financial means, as well as through the creation of new government agencies to assure implementation. Sections 6 and 7 of the Bill, which provide the only concrete health care and services to prevent or eliminate maternal mortality, are not mandatory, and the bill earmarks neither institutional support systems nor finances for their implementation. The POPCOM, which is established in Section 5 to implement and oversee the commitments outlined in the bill, has nine specific areas related to reproductive health and reproductive health services, yet no explicit mention of any responsibility in the area of maternal and ObGyn care. This most important section of the bill – and the only section actually consistent with Catholic social teaching – has been entirely neglected in the allocation of responsibilities to the agency established to oversee its implementation. Paul VI is referring to the control of reproduction and artificial contraception when he talks of “this power” being put in the hands of the state. This passage follows directly on a passage in which he discusses the problems artificial contraception poses within the marital union, and then expands to the consideration of problems that will result if the state is given the authority to regulate conception and birth. As cited in the Ateneo position paper, page 2. Sacred Heart Major Seminary, Detroit, MI. 5. Rev. Joseph W. Koterski, S.J. 7. Fr. Basil Cole, O.P. 8. E. Christian Brugger, D.Phil. 16. Fr. Earl Muller, S.J. 28. Mark E. Ginter, Ph.D.
A hobbit thanks to Sen. Kit Tatad’s First Things First.